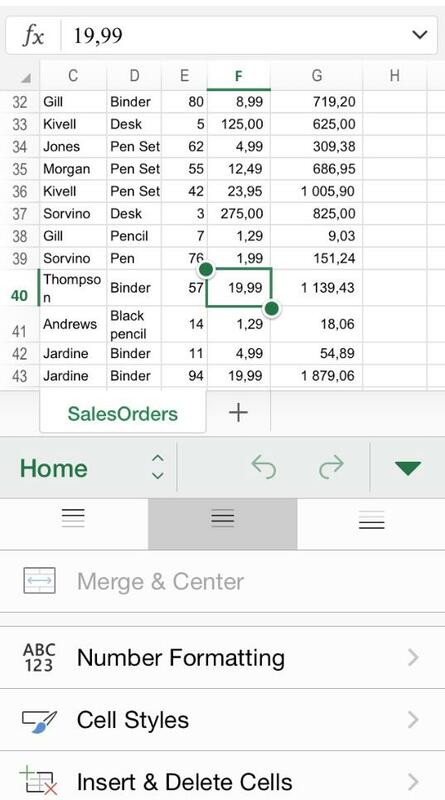 Excel has a comprehensive tool to help you to format numbers in a wide variety of ways. In this tutorial, you will learn how to find it and use it. First, select the cell you would like to give a format. 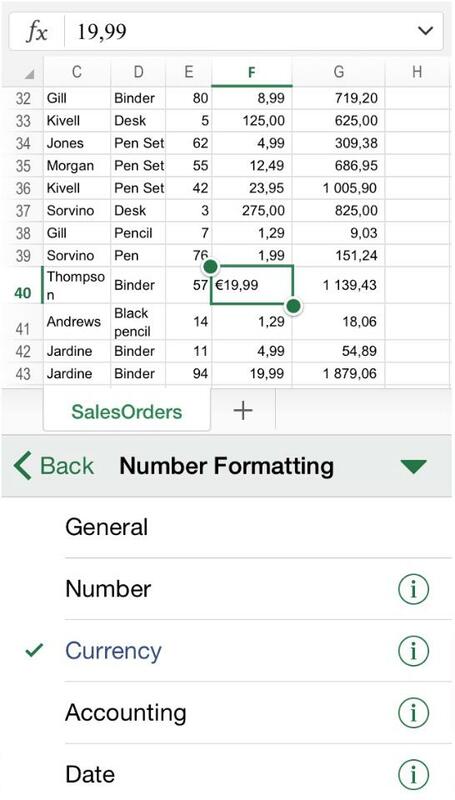 Depending on the device you are using to run Excel for iOS, you will have to perform or not additional steps to be able to format numbers automatically. Find the ribbon button, and then look for the “Home” option. Once you are inside the “Home” menu, you will realize there is an option called “Number formatting”. Again, you have to be sure of selecting previously the cell which content you are intending to format. Once you click it, you will have access to a wide number of options to format numbers, such as Date, Currency, Fraction, Percentage, etc. If you click, for example, “Currency”, you will realize that a currency symbol will be automatically added to the number, and the format of the data corresponds with said category.